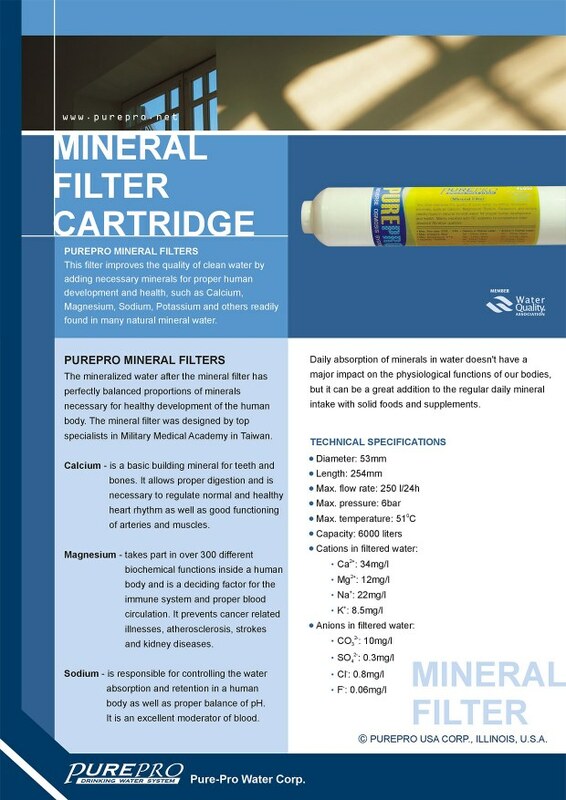 The mineralized water after the Mineralized filter has perfectly balanced proportions of minerals necessary for healthy development of the human body. 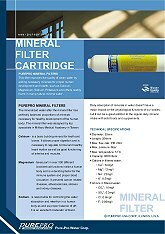 The Mineralized filter was designed by top specialists in The Military Medical Academy in Taiwan. Calcium - is a basic building mineral for teeth and bones. It allows proper digestion and is necessary to regulate normal and healthy heart rhytm as well as good functioning of arteries and muscles. Magnesium - takes part in over 300 different biochemical functions inside a human body and is a deciding factor for the immune system and proper blood circulation. It prevents cancer related illnesses, atherosclerosis, strokes and kidney diseases. Sodium - is responsible for controlling the water absobsion and retension by a human body as well as proper balance of pH. Is an excellent moderator of blood. Daily absorption of minerals in water doesn't have a major impact on the physiological functions of our body, but it can be a great addition to the regular daily mineral intake with solid foods and supplements.